is a research fellow in ethics at the University of Oxford. She is interested in neuroethics, medical ethics, moral emotions, philosophy of punishment and criminal justice. Her latest book is Remorse, Penal Theory and Sentencing (2015). Many people have fond memories of their grandparents. Some are lucky enough to know them throughout their teenage years and beyond, learning about their lives, what they care about and, more fundamentally, who they are. Grandparents often play a valuable role in raising children, and the relationships children have with their grandparents can be of a unique quality. In the best cases, such relationships lack the inevitable phases of conflict and authority-testing so characteristic of the child-parent relationship, but are full of the same unconditional love. Given how valuable the grandparental relationship can be (both in itself and as a support to the parents), should prospective parents attempt, where possible, to increase the opportunity for these grandparental relationships? 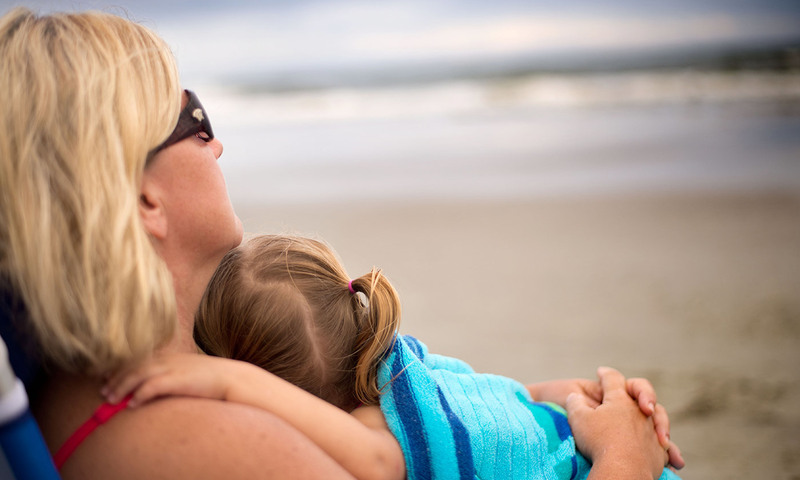 Is the child denied something valuable if parenthood is intentionally delayed? Gillian Lockwood, medical director of the Midland Fertility Clinic near Birmingham, recently expressed this view. At a UK science festival talk on ‘the fertility time bomb’, she said that modern children are being deprived of meaningful relationships with their grandparents because career-focused parents are waiting too long to start families. Of course, Lockwood is not saying that prospective parents should make reproductive decisions only on the basis of how the timing affects grandparental relationships. Indeed, there are other reasons she cites against delaying parenthood, such as dwindling fertility in later reproductive years. But she does think that grandparental bonds are a significant consideration and, crucially, that something of value is denied to the child through waiting too long. This strong claim, if taken literally, embodies a mistake. Put simply: if the parents had made the decision to have a child earlier, they would have had a different child. Parents do not deprive their particular child by waiting until they are into their thirties or later to procreate; the only alternative for that child is non-existence, not an earlier existence. This is an example of what philosophers call the ‘non-identity problem’, which arises when certain reproductive decisions are intuitively considered better or worse, but which are not better or worse for the child produced, as that child’s only alternative is non-existence. Timing is a prime example of this problem, as is selecting between embryos in IVF. This, however, might seem like philosophical sophistry. We might still think that Lockwood is on to something. The fact that a child born later will have reduced opportunity for grandparental relationships is plausibly something prospective parents might take into account. Indeed, the non-identity problem is considered a problem precisely because many have the intuition that there are circumstantial considerations that are morally relevant, even if acting on their basis results in a different child. Some circumstances will be better circumstances for a child – any child – to start life, and some less good. So, mightn’t it still be better, where possible, to avoid delaying pregnancy so that grandparental relationships can be given a chance? The philosopher Julian Savulescu at the University of Oxford has argued for the principle of ‘procreative beneficence’. Although he principally discusses this in the context of embryo selection, the central tenets could suggest answers here. His principle basically says that, as far as they can, prospective parents should make reproductive decisions that are expected to result in the existence of the child (of the children they could feasibly have) with the best prospects for the happiest life. This is because maximisation of the happiness (or ‘wellbeing’) of existing people is a good thing in itself. If Lockwood’s concern is taken more broadly to be about the effect that timing has on the child’s life prospects, the question becomes: at what stage in their lives are prospective parents likely to be best-equipped to look after a child and give it the best start in life? In this broader context, how significant is the presence or absence of grandparents for a child’s life prospects? Delaying parenthood can have a range of consequences for how well a child’s life might be expected to go. The support to parents that grandparents can provide and the value of the relationships they forge with their grandchildren would indeed count against delaying, unless, of course the prospective grandparents are not keen on children, or are not likely to treat them well. But these are not the only factors. Financial resources, social capital and life experience tend to increase with age, all of which are likely to improve things for a child. Indeed, independent Public Policy Research data suggests that having a baby before the age of 24 is linked to a £3.4 million lifetime dis-benefit for the mother (and her dependents). On the other hand, a prospective parent’s energy and stamina are likely to decrease with age, which might be less good news for a child of an older parent. A particular parent’s feeling of ‘readiness’ and other psychological characteristics might change in idiosyncratic, unpredictable ways. Which timing-related factors have the most predictive power for how a possible child’s life will go, and how any prediction should handle the trade-offs between, for example, energy and experience, is not clear. These are complex questions for sociologists to answer, and the general patterns they discern might not apply in particular cases. So, given our inability to predict with much certainty the finer details of our circumstances as the years progress – whether we’ll get a bit richer, a bit poorer, more or less socially stable, etc – working out the optimum time for a particular prospective parent to have a child might in practice be impossible. Nor is fertility so much under our control that we can simply choose the date at which to become pregnant, or guarantee that a pregnant woman won’t miscarry. Indeed, agonising about ‘the right time’ to have a child, could have consequences for the child-parent relationship, particularly if the parent subsequently feels guilty for having a child at the ‘wrong’ time. The desire of many of the older generation to be grandparents is understandable, and, other things being equal, it is better for children to be able to interact with loving grandparents than not. But there are so many other factors at play that such intergenerational considerations do not alone provide sufficient reason for prospective parents to seek to have children earlier than they otherwise would have done. Certainly, it is a mistake to think that delaying parenthood deprives that particular child of the grandparental bond. For children born to older mothers, their only alternative is non-existence.